Trustwave offers customers a wide diversity of solutions to meet their threat, vulnerability and compliance management needs.All Trustwave technologies are backed by global threat intelligence from SpiderLabs researchers, allowing Trustwave solutions to block more threats in real-time. Trustwave powers its services with its own intellectual property, along with threat research and technologies. Trustwave's portfolio of network security and access control solutions can help companies to be protected from advancing threats, optimize network performance, and increase operational efficiencies. 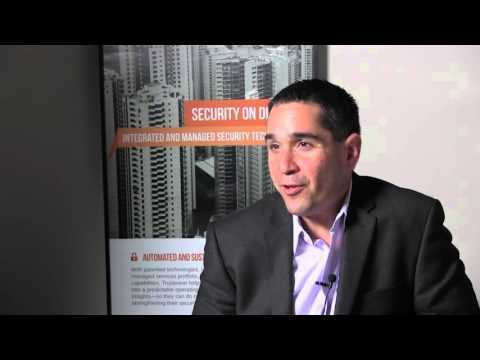 Integrated threat intelligence provided by Trustwave SpiderLabs sets Trustwave WAF apart. No other organization can compete with Trustwave SpiderLabs®’ breadth of data inputs or quality of human researchers investigating threats in the real world. A unique combination of positive and negative security, dynamic virtual patching and a platform that’s easy to install and configure, Trustwave Web Application Firewall delivers advanced, continuous protection for all Web applications. As the production of digital information grows at record rates, relational databases and big data stores will only become more integral to an organization. These repositories, which often contain the lifeblood of the business, must be protected to prevent improper access and leakage or disclosure of the sensitive data contained within them. The amount of digital information in the world is growing leaps and bounds. Driving this proliferation are things like email, video, social media and mobile payments, for example, as well as more fundamental business use cases requiring long-range retention of both structured and unstructured data. In many cases, this data that is stored in traditional, relational databases or more modern, big data platforms is confidential and mission critical. As a result, they require specific protections, separate from the safeguards that defend networks and applications. With first-class database security solutions that cater to your personal resources, skill levels and business needs, Trustwave can help. DbProtect is a security platform designed for continuous monitoring of enterprise databases. 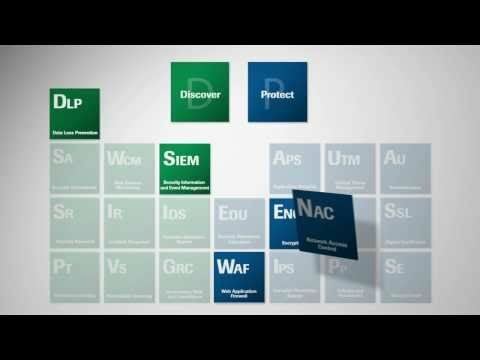 Through its multi-user/role-based access, distributed architecture and enterprise-level analytics and reporting, DbProtect enables organizations to secure all of their relational databases and big data stores throughout their environment (on-site or in the cloud) and achieve business objectives. Trustwave NAC is a scalable, full-cycle solution designed to protect any network infrastructure, providing full protection for all endpoints, managed and unmanaged. Trustwave combines agentless network access control with zero-day threat prevention, automated policy enforcement and network intelligence to deliver a unified view of endpoint activity and powerful analysis of network’s history and usage. Together, these features deliver comprehensive endpoint control and offer security checks throughout the lifecycle of a device’s network access. Trustwave NAC includes seamless integration with any wired or wireless network, detection and control of managed, unmanaged and unmanageable assets on the network and prevention of malware introduction when users browse the web over their personal device. Trustwave Data Loss Prevention consists of three primary features, Monitor, Protect and Discover. Based on the patent-pending Intelligent Content Control Engine, Trustwave Data Loss Prevention analyzes all web-based communication and attachments, including through email, instant messenger, P2P file sharing, blogs, social media, FTP and Telnet, for violations of an organization’s governance, compliance and acceptable-use policies. Trustwave Data Loss Prevention automatically blocks HTTP, HTTPS and FTP traffic violating compliance policies. For email communications and attachments identified as compliance violations, it has blocking, quarantine or self-compliance capabilities. Trustwave Data Loss Prevention can investigate data at rest to find and protect sensitive information residing in stored data. Discovery of sensitive data allows security teams to focus their initiatives on specific users and systems, and then implement the appropriate measures to meet compliance requirements.